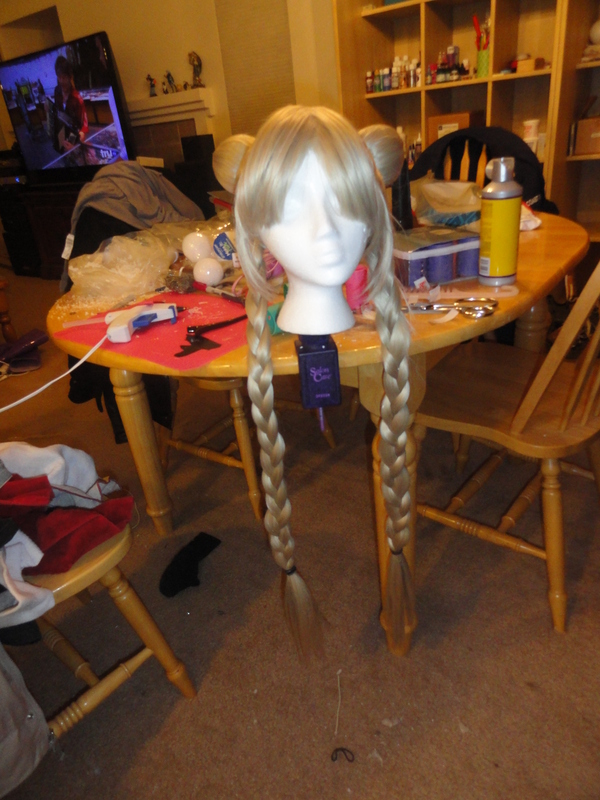 Now that our buns are on the wig, it’s starting to really look like a sailor moon wig! 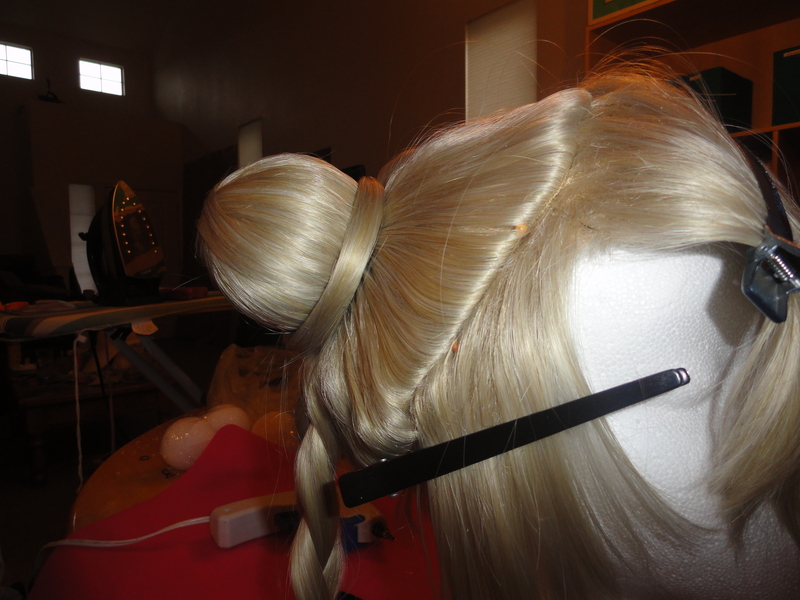 Sailor Moon wig tutorial, Part two! When we left off, you were setting aside your cut up pieces of hair to let the caulk/epoxy harden and do its thing. Now, we’re going to make the odangos for the wig. About a month ago I was given the awesome opportunity to make a Sailor Moon wig as a commission for a friend of a friend. 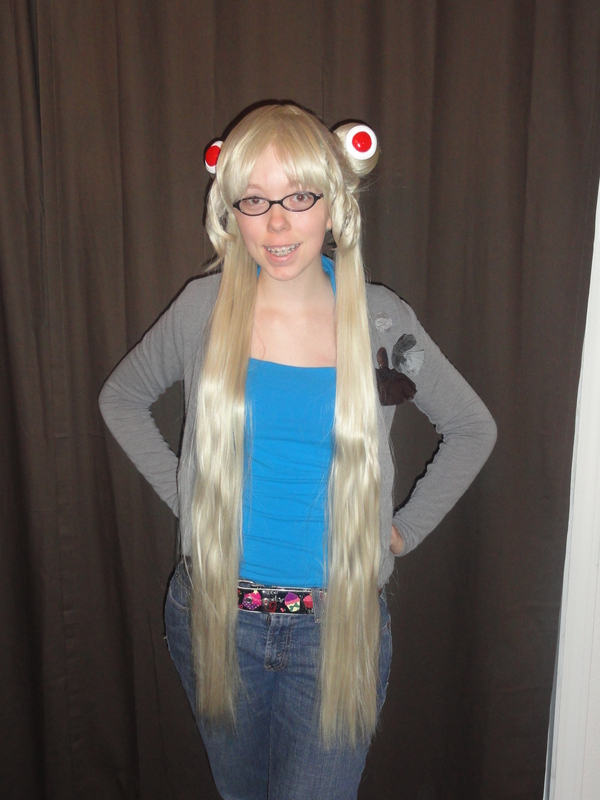 I’ve always wanted to make a Sailor Moon wig; I’d have made one for myself by now if I had enough money to take it to another convention (as it stands, we only really have the money to either go to several small conventions, or go all out at one large one, and we really, really like Blizzcon!) just because I think it’s an awesome wig to make.